1996 was a pivotal year. 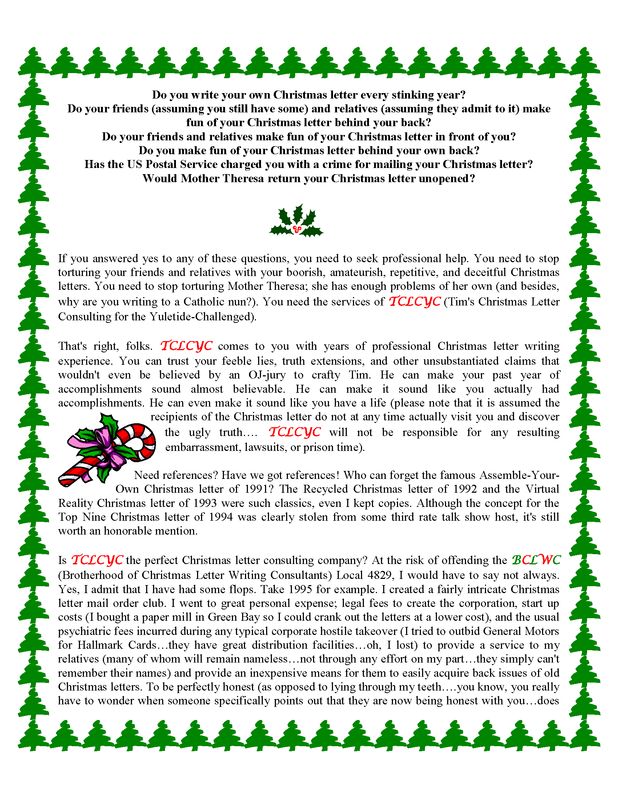 It introduced TCLCYC, a fictional (sorry to those of you who believed) consulting company whose mission was to rid the world of offensive and annoying Christmas letters and replace them with absurd Christmas letters. 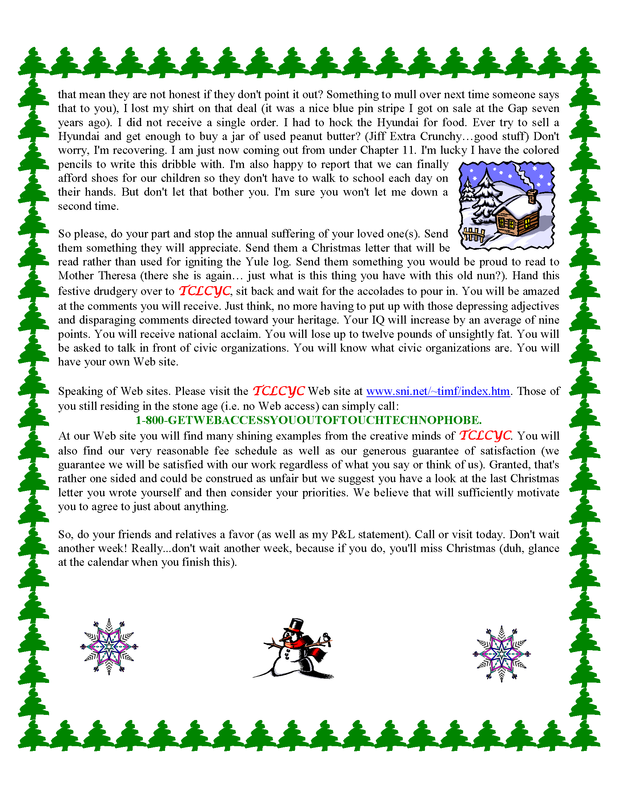 TCLCYC was the basis of nearly every subsequent letter. This particular letter included a reference to a real website (it no longer exists, however) and a fake toll-free phone number. I never bothered to find out what would happen if you dialed the phone number. Guess I really should have. I also claimed to have purchased a paper mill in Green Bay. That was not true, for the most part. And the part about me trying to outbid GM for Hallmark Cards is not true either…GM never tried to buy Hallmark Cards…I think it was Ford. This was also the first year to use color. I had recently acquired an HP color InkJet printer and chose to spend big bucks on printing sufficient copies for my siblings. I could have sent it out as a PDF (PDF had been invented three years prior but was not as ubiquitous as it is today) but the siblings still lacked PCs. 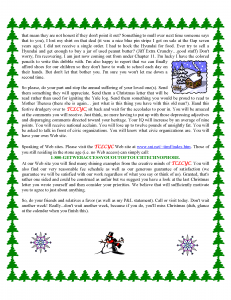 Their lack of technology and technical expertise were issues that plagued TCLCYC for years to come. The letter was created with Microsoft Word…nothing fancy.